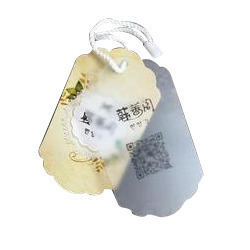 We are noteworthy name in the market proffering excellent quality collection of Hang Tag that is available in many specifications. They are beautiful and very fancy in design. 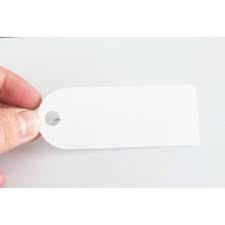 Our valuable customers can avail from us an attractive assortment of PVC Paper Tag within the stipulated frame of time at very affordable rates with the support of well-equipped infrastructure. Heavy quality plain PVC hangtag in transparent blue colour. PVC Lugagge tags can be customized asper client requirements.We provide card holder type, both sides printed, one side embossed and other pritned and both sides printed as well. To fulfill the diverse needs of patrons, we are engaged in offering a wide range of PVC Luggage Tag. After checking by quality controller, it is delivered to the clients’ end.